Welders face a series of risks from dangerous substances that could mean they face time off work for illness or even early retirement. 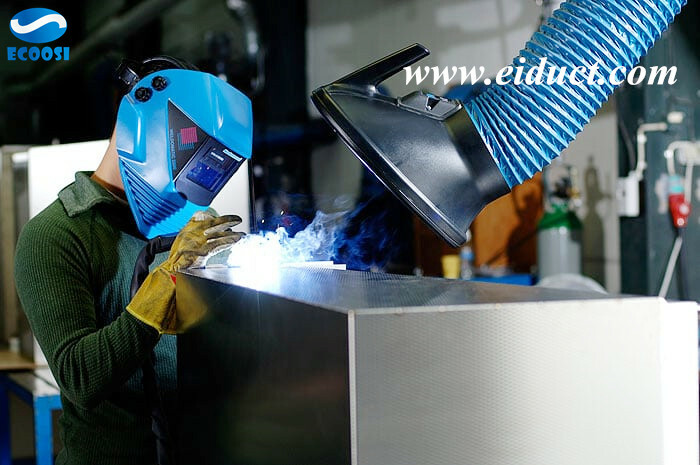 Different welding methods give rise to different amounts of fumes containing various concentrations of hazardous substances. The smaller the particles, the more dangerous they become because they are easier to breathe in deeply in the lungs. 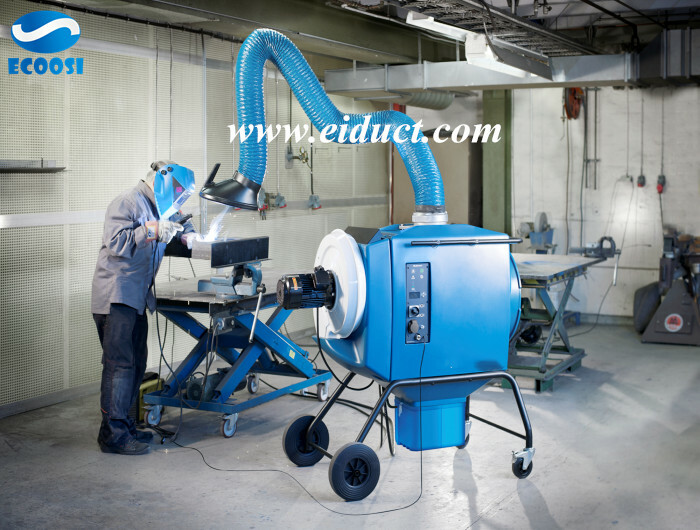 The amount of welding fumes that are formed depend upon the type of welding and materials used, so it is need a good welding fume extraction hose to suction the harmful fumes and dust. 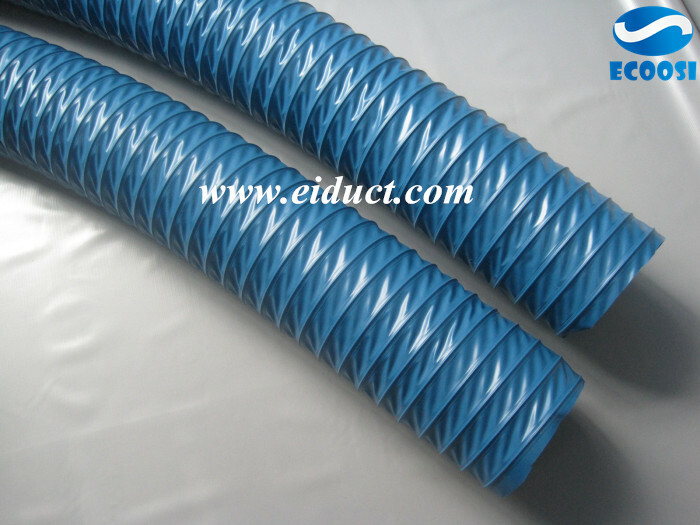 Ecoosi PVC flexible welding fume exhaust hose is a good choice. 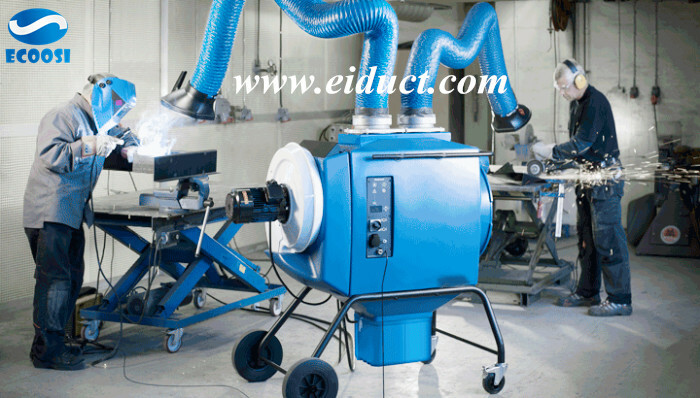 Ecoosi flexible welding fume extraction hose is produced by flame retardant PVC coated polyester fabric with strong spring steel wire. This flexible fume ventilation hose is extremely flexible and compressible up to 10:1, size range from 51mm to 400mm, standard length is 10 meter. 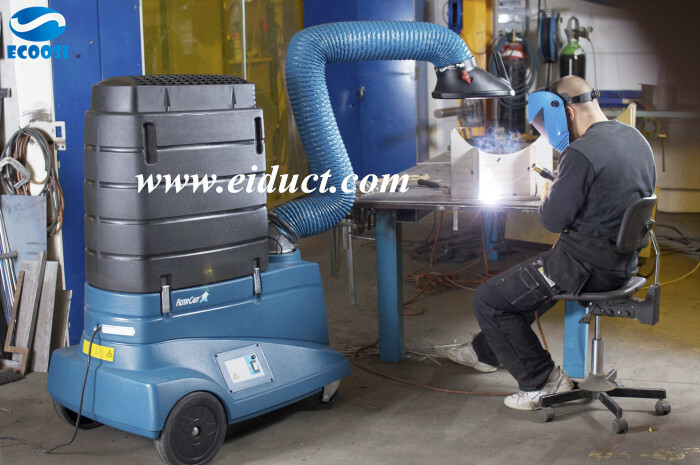 If any interests in our flexible welding fume extraction hose, please feel free to contact us through email: info@eiduct.com or Mobile(WhatsApp): 00-86-136-5140-9056, we are always here to satisfy your requirement!